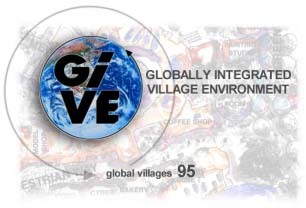 1999 waren wir beteiligt an der NGO Internet Fiesta und - in neuer Zusammensetzung - an "Global Village 99" Das geplante 4. internationale Global Village Symposium mußte leider abgesagt und auf unbestimmte Zeit vertagt werden. He studied architecture at the Polytechnic of the South Bank in London, graduating with a first class honours degree in 1983. He received his Post Graduate Diploma from the Bartlett School (University College London) in architecture with a masterplan study for the City's London Wall. Huw joined Sir Norman Foster and Partners in 1987 working from the outset on the competition winning King's Cross redevelopment proposal and the associated British Rail International Terminal. He has subsequently developed his involvement in masterplanning projects with major masterplans for the commune of Cannes in France, Austerlitz station in Paris, the Sagrera area of Barcelona, a masterplan for the Manchester 2000 Olympics bid and a masterplan for Wilhelminapier in Rotterdam. Huw has also continued his involvement in individual transport interchanges with recent proposals for a new airport station on the Hong Kong Mass Transit Railway and the Central Station redevelopment in Kuala Lumpur. Parallel to these masterplanning project, Huw has contributed to the designs for a new library at the Cranfield Institute of Technology, a Congress Hall in Valencia and a major mixed use development in China. Competition projects have included major developments in London, Paris, San Sebastian, Ostend, Lisbon, Berlin, Frankfurt, Duisburg and Kuala Lumpur. Huw is now responsible for research projects in the office mixing these with a variety of building and planning projects. He has a special interest in energy and the environmental impact of buildings as well as the impact of new technology on work patterns and structures. He was made an Associate in 1989 and a Project Director in 1992.